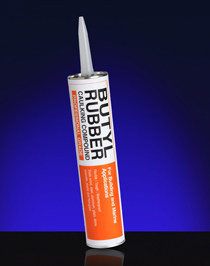 This specialized compound is a one-part butyl rubber sealant composed of elastomeric hydrocarbons. After full cure, it remains flexible for a permanent, watertight seal. Ideal for wood, glass, plastic, concrete and metals.